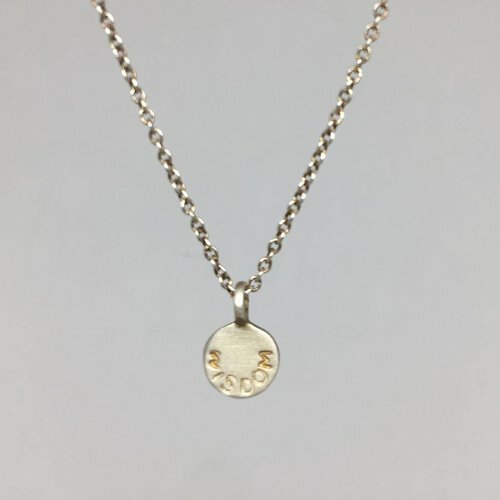 Me&Ro has been at the forefront of modern jewelry design for 26 years, creating a style of jewelry that has been recognized universally, inspiring a movement of personal, handcrafted fine jewelry. 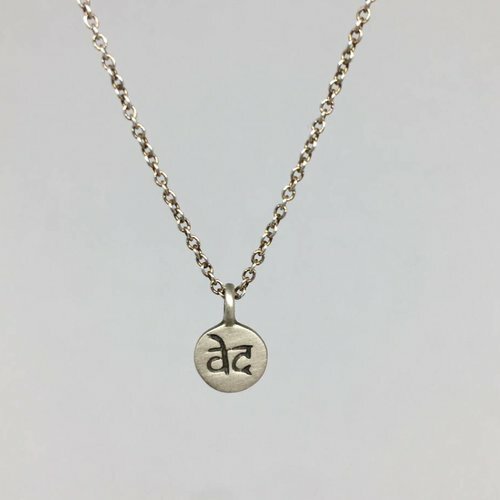 The 'Vedas' are the foundational scriptures of the Hindus. 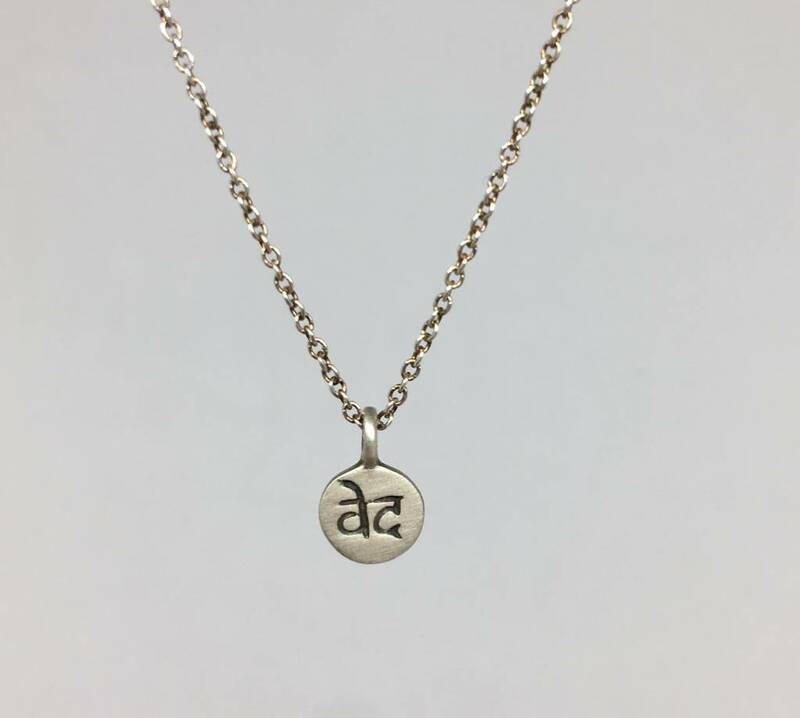 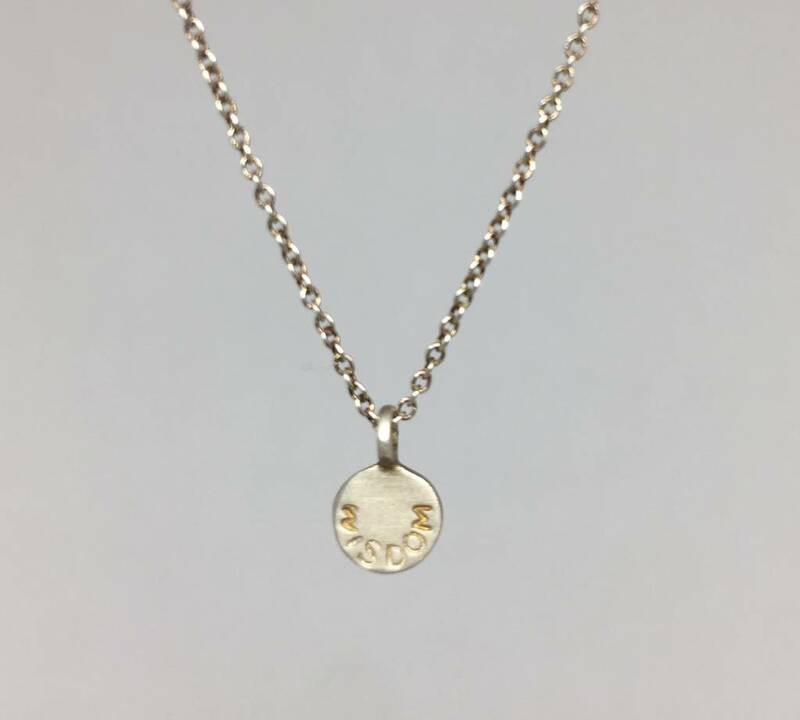 This tiny recycled sterling silver disc pendant is engraved in Sanskrit with 'Veda,' meaning wisdom or knowledge. 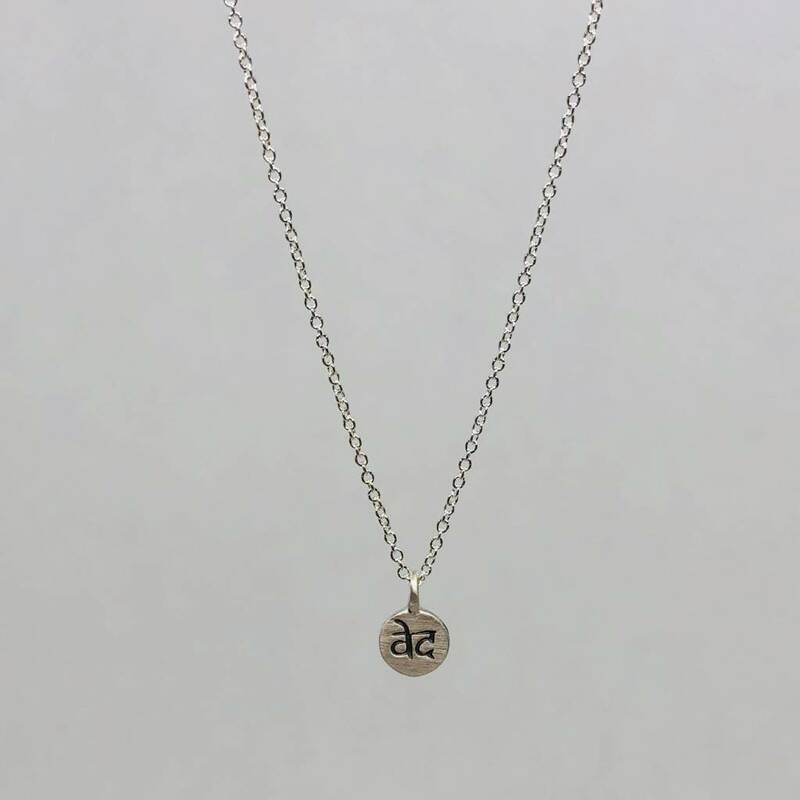 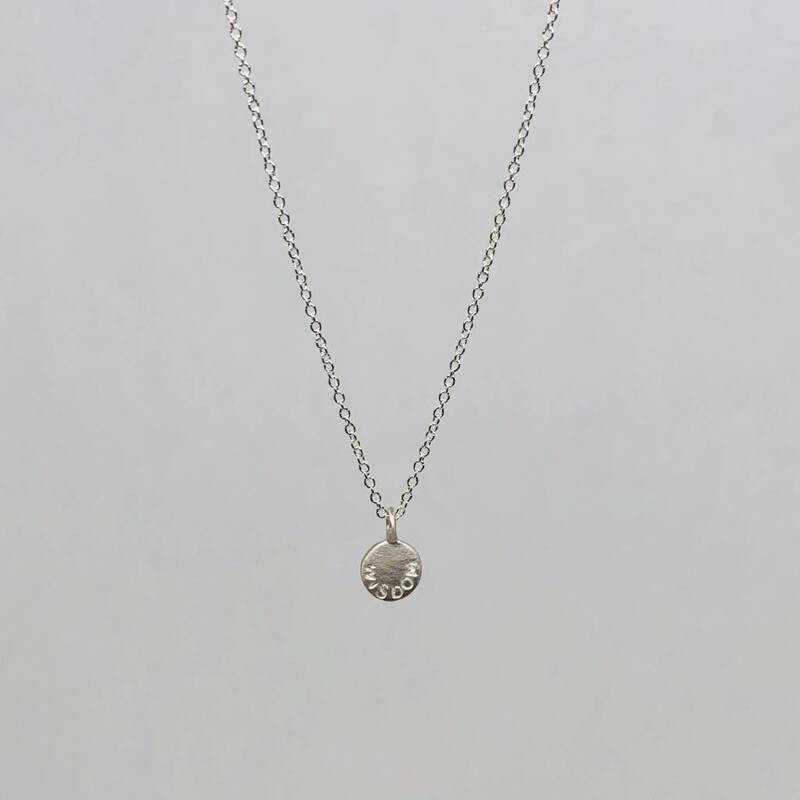 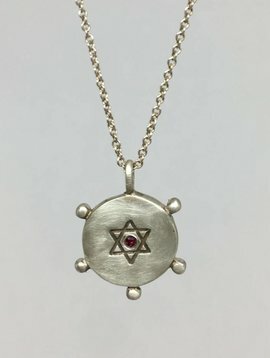 The pendant, which measures 1/4 of an inch in diameter, hangs on 16 inch extra-fine silver chain with a spring ring closure.